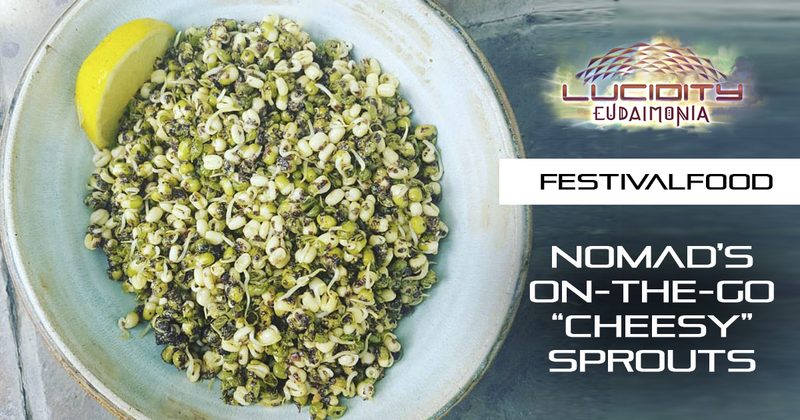 Editor’s note: Debra Mazer is sharing unique festival food and meals inspired by our archetypal villages. 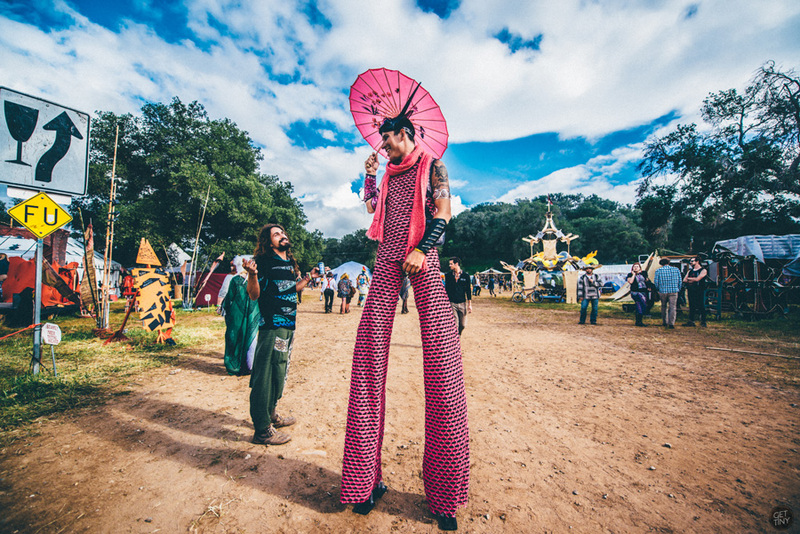 Check out the mythos behind Lucidity village camps for your own inspiration! Hi Beautiful! I’m Debra, here to share with you some of my favorite Festival Recipes for you to create (or use as Inspiration) here at Lucidity! I ain’t gonna lie, I *LOVE* Lucidity’s Food Vendors (I’ve even worked with one or two! ;)), but sometimes you want something simple you can make at your camp or in your tent. 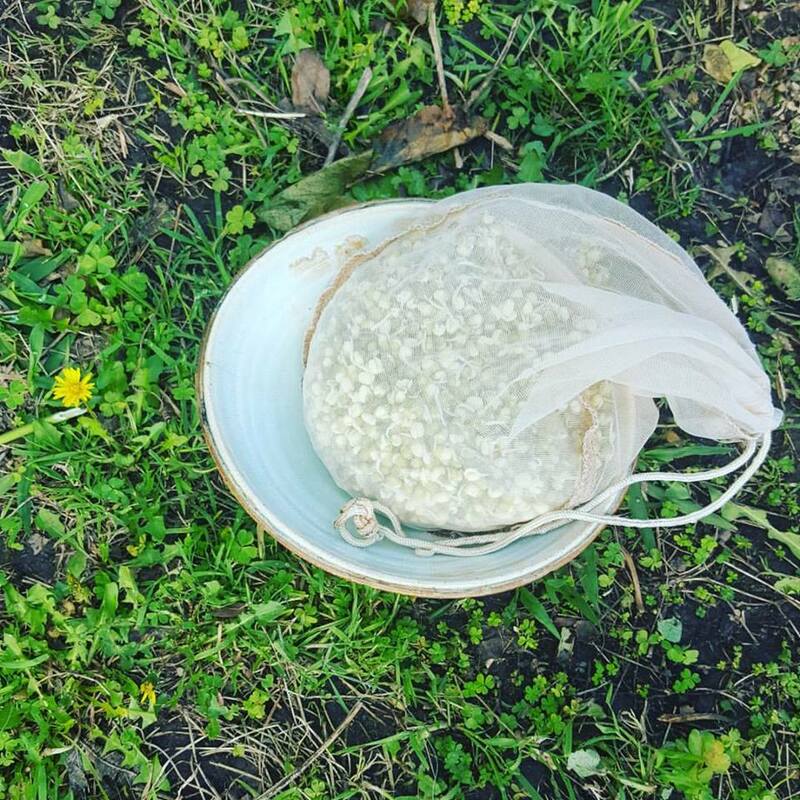 My background is as an Award-Winning Raw Chef + Holistic Health Coach, so I thought I’d give you a window into my own personal Festival Recipe Repertoire. Lots of LOVE + ENJOY! You may think it’s impossible to grow your own food while living the Nomadic Lifestyle! But, that’s not true! That’s why I’m here to teach you how to grow your own Sprouts on the Go, and turn it into a delicious Vegan “Cheesy” salad you can make anywhere. So grab your bandana and stick! Tie on the sprout bag! And onward to our next Adventure!!! Soak soak soak. Soak soak soak. Soak your mung beans. 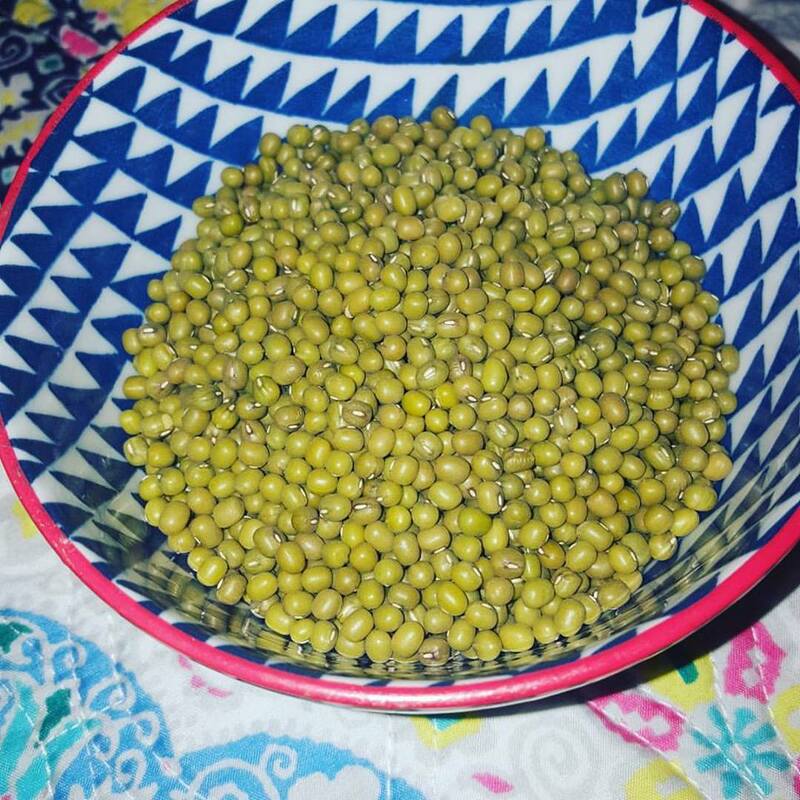 Soak your mung beans! The next morning, pour soaked mung beans into sprout/ nutmilk bag + rinse with clean water. You can also use an open strainer to sprout the beans. Then, tie bag onto a tree, your tent, or vehicle, to sprout! If you’re using a strainer, place in a closed area. 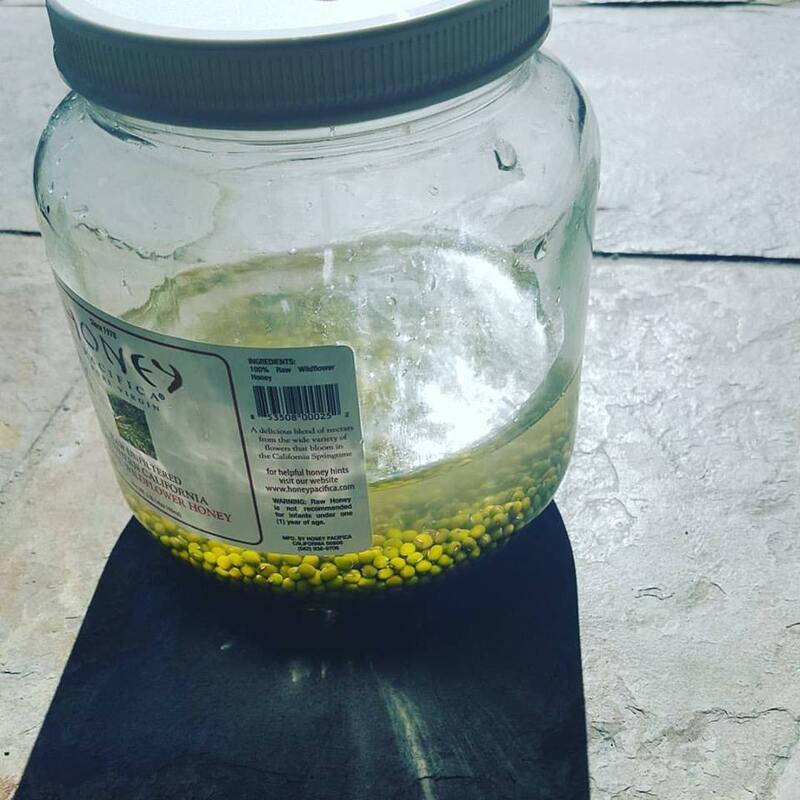 For 1-2 days, rinse mung beans with filtered water twice a day, until the sprout tail grows as long as the bean. When this happens, you have mung bean sprouts! And you are ready to make your recipe! Finally, place mung bean sprouts in your favorite bowl, and add all other ingredients. Stir + Eat! Pack it up and head out! ← Empathy vs. Sympathy: Am I Doing it Right?